Modern sports diplomacy between Iran and the United States dates back to 1950 when the Iranian Football Federation invited Pennsylvania State University's soccer team to travel to Iran for a friendly match. The Penn State players and coaches, who knew almost nothing about Iran, were warmly received by the Iranian public, who gave them a welcome normally reserved for high-profile sports personalities. Unfortunately, it took 48 years before another athletic delegation came to Iran. In the 1990s, reformist Iranian president Mohammad Khatami called for cracking the "wall of mistrust" between Iran and the United States through sports and other form of citizen diplomacy. In February 1998, an American wrestling delegation accepted an invitation from the Iran Wrestling Federation to come to Tehran to participate in the important Takhti Tournament. In Iran wrestling's popularity is akin to football in the United States. Although the event received minimal coverage in the American media, even in the sports section, it was a hugely important event for many Iranians who packed Tehran's Azadi Sports Complex and cheered the American team as much as they did the Iranian wrestlers. The American flag hung in the Azadi Stadium as American star Zeke Jones waved a miniature Iranian flag and the crowd in the packed stadium chanted "USA, USA." 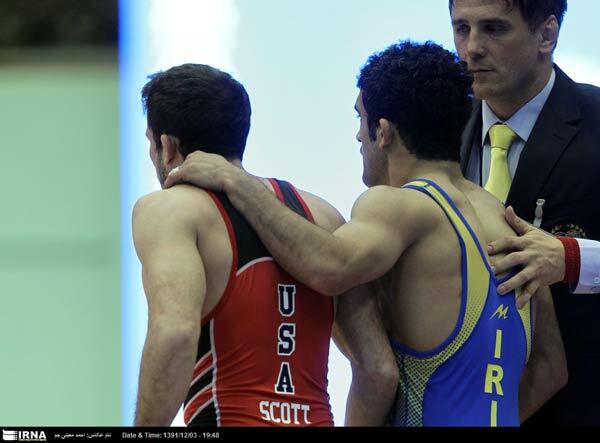 After the matches, the Iranian and American wrestlers embraced each other in a true show of sportsmanship, something that their politicians were incapable of emulating. They also demonstrated a constructive model of how sports can overcome the artificial walls of mistrust that leaders of countries erect against one another. The next major opportunity for Iranian-American sports diplomacy came in June 1998 when the US and Iranian soccer teams were placed in the same group during the World Cup in France. The importance of the game was not the result, which Iran won 2-1, but the camaraderie and sportsmanship that the players from both sides displayed towards each other. The mainstream media in the United States mostly missed the symbolism of this match and continued regurgitating the political cliches they'd been fed for years about Iran. Under the Obama administration, people-to-people relations between Iran and the United States received a boost, with sports diplomacy, especially wrestling diplomacy, playing the lead. What makes wrestling an effective medium of public diplomacy is that the sport appeals to a wide spectrum of the Iranian public. Unlike artistic, academic, and other similar cultural exchange programs that target the Western-oriented segment of Iranian society, wrestling appeals to conservatives and liberals alike. Also, in a rare moment of cooperation among adversaries, Iran, the United States, and Russia joined forces to successfully campaign against the impending plans by the International Olympic Committee (IOC) to drop wrestling from future games. In a series dubbed "Rumble on the Rails," these three countries staged exhibition matches in New York's Grand Central Station in 2013. These matches contributed to the IOC's decision not to drop the ancient sport of wrestling, which has been a mainstay of all Olympic games. A year later, Iran's hosting of the World Cup of Greco-Roman wrestling provided another opportunity for US-Iran rapprochement. To the surprise of the Iranians, the leader of the US team was Christina Kelley. Although there was some initial apprehension about allowing a female to be in the stadium with an exclusively male audience and male athletes, Kelley received enthusiastic applause from the audience. 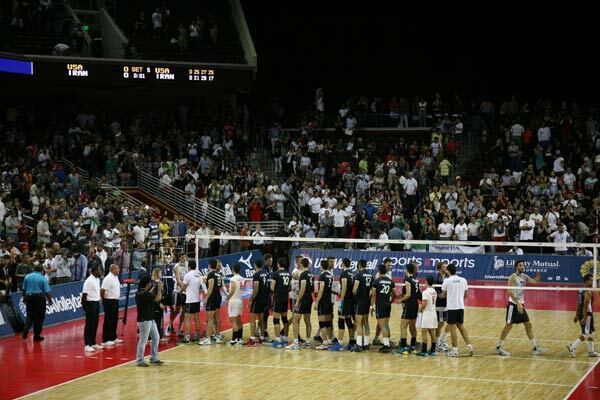 Although the US team finished 9th out of 10 teams, the Iranian audience treated them as victors when the members of the US and Iranian teams walked around the arena together. Afterwards, the US team toured the bazaar where one of the merchants insisted that each American wrestler take home a free rug. 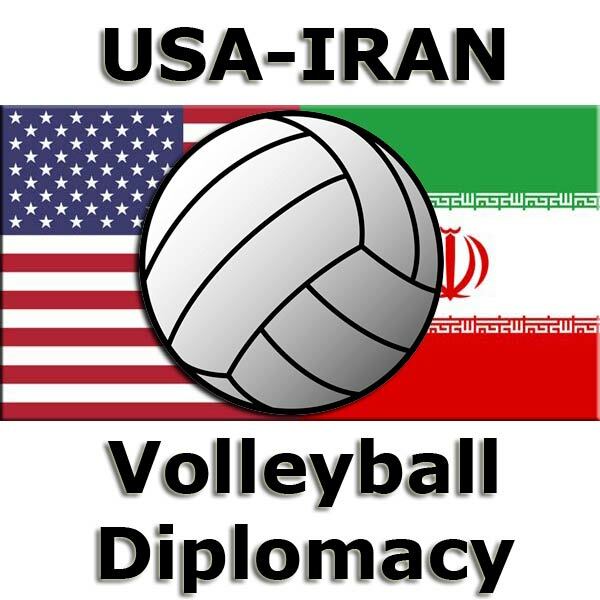 Later in 2014, Iran's national men's volleyball team was invited to come to the United States where it played four exhibition games against the US national team. Televised in Iran, the Iranian team's arrival ceremony at LAX was viewed by an estimated 50-60 million Iranians. A poignant moment during the arrival ceremony came when the State Department's Gregg Sullivan handed out US and Iranian flag pins. US-Iran sports diplomacy may become a casualty of Trump's hardline policy towards the Islamic Republic and Iranians in general. President Trump's executive order temporarily banning travel by Iranians to the United States has already had a deleterious impact on this year's World Championship of Wrestling in Kermanshah, Iran. Trump's decision had an immediate impact on Iran's sporting teams when the U.S. government denied visas to the Iranian Archery Team to compete in the Vegas Shoot, the largest and most prestigious archery tournament in the world. Partly due to Trump's executive order and partly due to the denial of visas to the Iranian Archery Team, the Iranian Foreign Ministry announced on February 4, 2017 that it would reciprocate by not issuing visas to the American wrestling team to travel to Iran for the World Championship. Notwithstanding President Trump's policy, the US wrestling team expressed its desire to go to Iran, and Rasoul Khadem, the president of the Iranian Wrestling Federation and an Olympic gold medalist wrestler, wrote a letter to the country's minister of sports and youth asking for a reversal of the policy. In his letter, Khadem argued that by issuing visas to the American team, Iran can promote its sports diplomacy on a global stage. On February 5, the Iranian Foreign Ministry issued a brief notice saying that in lieu of the suspension of Trump's travel ban by a federal judge's decision in Seattle, and considering the request made by Iran's Wrestling Federation, Tehran will issue visas to US wrestlers. Although sports diplomacy has the potential to improve relations between Iran and the United States, there are distinct limits to relying on public diplomacy to make a major dent in the hostile wall of mistrust between Washington and Tehran. The "ping pong diplomacy" between the US and China in 1971 may not be a good metaphor in the case of US-Iran relations. Although sports diplomacy was instrumental in the eventual rapprochement between Beijing and Washington, it took place in a political environment where both sides were willing to finally establish formal diplomatic relations and bury the proverbial hatchet. So far, there is no indication that either Iran or Washington is interested in establishing normal diplomatic relations. In fact, under President Trump, the very modest understanding that may have been established between Washington and Tehran in the past few years will most likely dissipate. Nader Entessar is professor and chair, Department of Political Science and Criminal Justice at the University of South Alabama. His most recent book is Iran Nuclear Accord and the Re-Making of the Middle East (Rowman & Littlefield, forthcoming 2017).